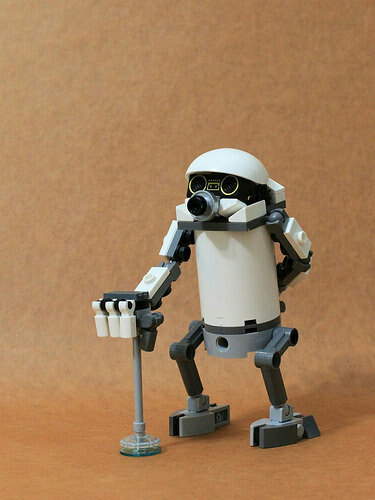 It’s amazing how a builder like R197 can take a simple LEGO brick and find a character in it. 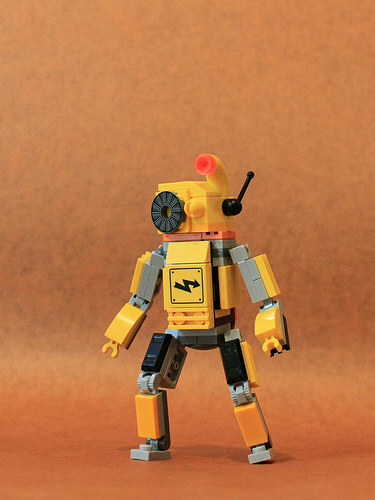 The way he uses a boombox element for eyes, and bent knees formed from technic braces, can conjure up the poise and gait of an arthritic robot. It’s something of a talent: the printed rotor blade and hazard tiles on this yellow droid similarly conveys a feeling of uncanny eagerness. At times it’s an approach that opens up a strange new surreal world. Is the neighbour visiting his friend’s junk shop looking for ornaments or extra body parts. Who knows? 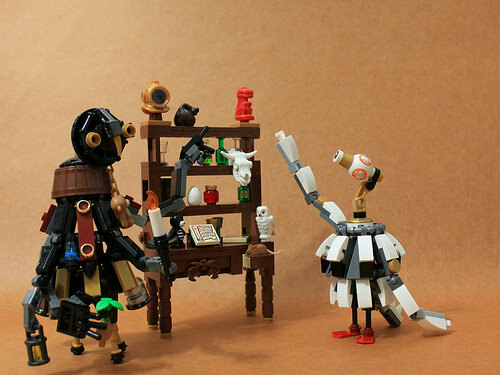 One thing is for sure that’s an unexpected way to use the BB-8 body part – yet bizarrely here it makes sense!